Tara: And thank you Mother, yes. I could say and Rama could say, we could say that what in general that we’ve been hearing for a while now, is that the cornered one are acting out in, you might say, scary ways. You know, the latest one here is that we want everybody to get a nice little bio-chip so that we can scan your eye and your thumbprint and whatever else and get you a national ID and stuff like that. These are desperate times for the cornered ones and they are attempting in all the wrong ways which are desperate ways to scare us. There was an 8.0 earthquake today off the coast of Alaska and they put out these warnings for tsunamis through British Columbia, Washington State, Oregon, California and all the way over to Hawaii and it’s like, the energy came out and not too long after that, maybe less than an hour after that, they dropped all those warnings and they said it was the kind of a quake that was close to the surface, and when you are going to have tsunami it’s got to be closer to the floor of the ocean where it creates that kind of tumultuousness waves. So that being said, it was another sign that the Pacific Rim of Fire is like Mother’s energy. Tara: Yes, fully activated. And so for those who are in Hawaii, which is the original land of ancient Mu which is the center from which this Earth plane energy can reach ascension at its closest point, meaning that we entered as Pleiadians into this Earth plane in Kalalau Valley which is on Kauai, on the backside of Kauai. That is the first landing party mission site where we came in as a human dance, as Mother says, ‘let’s dance,’ this Divine Leela began there. Rama: As it has been told to me, Merk and Lady of the Sun came there first. Tara: Merk being a star Being and Lady of the Sun, she was Ilipaaten in the time of Akhnaton and Nefertiti and she represented this Goddess energy, which was by these cornered ones the worst of their enemies you might say, and so Love is All There Is and this return of that Love, the return of our True Selves. And I just wanted to back up to [January] 21st, and Ram had a report that day from Sweet Angelique the Cat, right? Tara: And she was saying in the first episode of the new season of the X-Files Mulder exposes the Secret Space Program (remember that they are being aired on Fox Network; there is a divine plan here to bring that kind of exposure as everything is geared toward opening up to the real truth at some level) and as well they expose the colonization of space by the global elite. Yes, they have been colonizing space for 10s of 1,000s of years minimum. And then the cigarette smoking man in the series, representing the Deep State right now, is talking in the series of the global agenda plan to remove, in this case they are saying millions and millions of people from planet Earth. It’s uncovering that they’ve already removed over 2 billion people from planet Earth and now it’s coming to the people’s knowledge that that’s in the awareness anyway, by means of creating a human-alien pandemic, which is cancelled by the way. And Scully and Mulder and their boss Mr Skinner who as a very sleazy director of the FBI agency, you might say, are going to inadvertently in spite of themselves save the world from this vile plan. So that was the end of Sweet Angelique’s text message. It makes an opening for us, being with the consciousness of the Office of the Christ, to enter and sign in and be accounted for. Also yesterday on the Majority Report Sam Seder said Chuck Schumer sold out to Mitch McConnell and that he compromised. He is compromised as well by the Deep State so send him more Love. Okay so that leaves today. So today Ram spoke with Natasha and she showed Rama on her galactic pad what is going on with the anomaly at Galactic Center. There are 2 spheres and they are a blend of blue, magenta and violet light and they are holding the transfiguring energy coming from the transfiguration going on with our Sun Sol for the entire Milky Way Galaxy. So Natasha showed Ram the projected path of this upcoming flash which she said is now, not later. Rama: Everybody is feeling this energy of this upcoming flash. Tara: Yet it’s really important to focus on the entire energy and the reason it is coming in sooner than later is because the cornered ones, the dark ones, are thinking up very grotesque and atrocious things. Rama: Like with the upcoming ‘Blood Moon’ and also the Super Bowl and the words that have been bandied about on the internet called false flag events and we all know what false flags are about. Tara: Are you trying to say that they are planning a false flag event at the Super Bowl? Rama: Yes, that has been said. Rama: I think it could be Groundhog Day. Tara: In and around there? Tara: Okay, so blaze the Violet Fire. Rama: Blaze the Violet Fire. Tara: Okay, so he said that this pathway of this flash, it comes first from our Sun, Sol. It goes across our Solar System and then it goes to the rest of the Milky Way Galaxy to Galactic Center where the anomaly resides, and as this energy travels through the Solar System and the rest of our Galaxy it lifts all boats, it lifts everyone up. All we need do is open our Hearts more and as we get lifted up we move directly into Christ consciousness and Natasha used the words Transfiguring Divine Love, Compassion and that these qualities merge with our Being and it gets as though we’ve just experienced a great ‘aha!’ and it brings in the Golden Ray of the mono-atomic gold, the gold dust or the ‘Soma’ which is located in the brain at our Pituitary-Pineal gland junction in the center of our brain, and Natasha explained anything that is not of the Office of the Christ will be swept aside and transmuted back into living Love, living Light. These unaligned energies and the ones carrying them are being removed by this energy into the Dark Rift, Mother Sekhmet’s creation chamber in which she makes new universes. Gardens of love, truth, peace, freedom, justice and beauty are created with these energies. And about these intense energies of which we are all so familiar on our airwaves, etc. Natasha said, each day decree, “I am the Sacred Violet Light. I am the purity of God-Goddess, All That Is Desired, blaze the Violet Flame.” Also focus on these Light energies through various mantras. There is a mantra called the maha mantra of a series of mantras that go like this “Om gam gana pataye namaha” calling in Lord Ganesh, Shiva and Parvati ’s son. Rama: He is the remover of obstacles. divine energy into our present moment. All of humanity, Natasha continues, is experiencing time travel as that is what we are doing right now. We are in the midst of this time travelling from the octave of which it appears we are in to the higher octave of which we are truly made of and in. And it has to do with this upcoming Triple Blood Moon and this energy carries us into that place of cosmic consciousness. 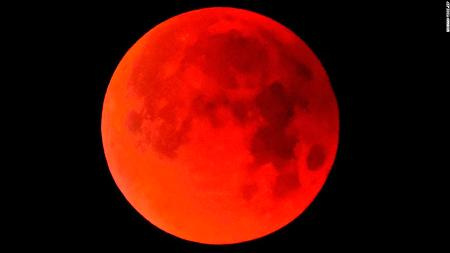 This total lunar eclipse is on the 31st of January and it’s coinciding with the Blue Moon and it’s the first time. This type of situation last occurred in North America on March 31st 1866 to be exact, approximately a hundred and fifty years ago. We are speaking about this coming Blue Moon to America. In Europe and other places there was one in 1982 in December. It did not touch America. So this is profound and Natasha is saying this is St.Germain’s promise to us that he would stay with us since the time of the Founding Fathers. He counseled each of the 56 signees of the Declaration of Independence, despite their fear, to sign that document as he encouraged them that their posterity would make it so, as the spiritual energy that they put into and risked their lives for was made so by signing the Declaration. So Rama? Tara: We need financial assistance, Everyone. Tara: You said the King of Swords asked everybody to be encouraged to help us to get a new vehicle. Rama: Yes. [Our car] Rosy is kind of on her last legs to put it quite bluntly. Rama: And you will see the gold button right there. Thank you so much, Samana. Tara: beautiful presentation there, and the other thing is this wonderful Beneficial Farms as you could all be so graciously assisting us, it’s been our sustenance for a number of years now. Thank you, Susan and Fran. Tara: and all the blessings to everyone. We are in the transfiguration moment, Everyone, and as our sister Fran told me very clearly, we can all require ourselves and the Ascended Masters to come together with us to make it so. NESARA now! Michelle for President! World Peace now! And I pass this peace loving, cosmic consciousness talking stick with lots of rainbows and Fairies to my sister Fran.